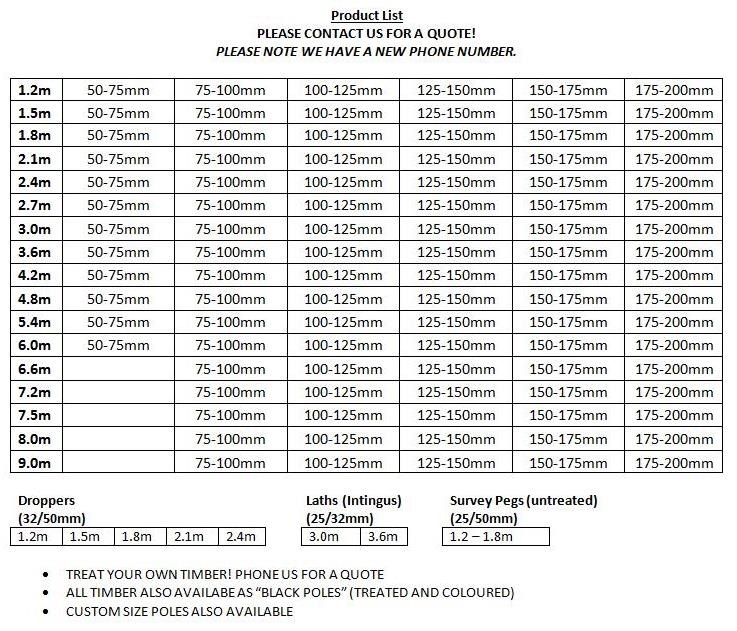 A wide variety of pole sizes as shown below, at highly competitive prices, are available. Please contact us now for a quote! If you have special size requirements, please give us a shout and we will be happy to help. We also sell untreated offcuts (unsized, load yourself) as firewood.